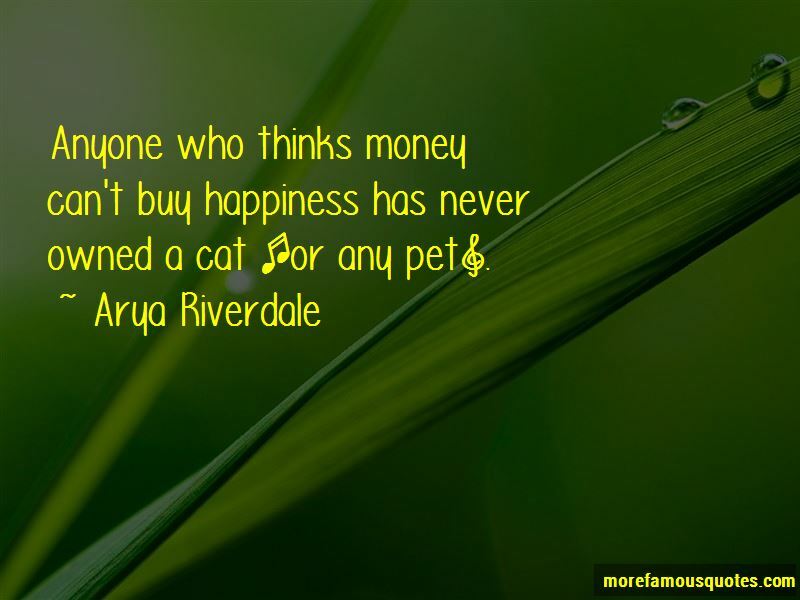 Enjoy the top 1 famous quotes, sayings and quotations by Arya Riverdale. Anyone who thinks money can't buy happiness has never owned a cat [or any pet]. Want to see more pictures of Arya Riverdale quotes? Click on image of Arya Riverdale quotes to view full size.